According to police, key accused Yogesh Raj has been charged with abetment to riot and instigating the crowd to commit arson. 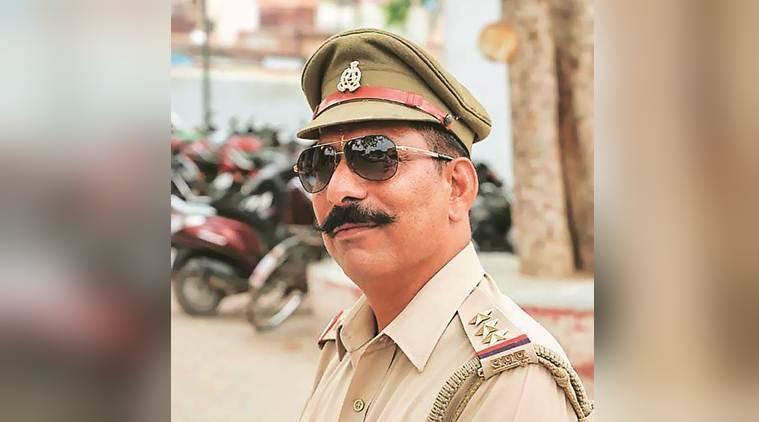 The Special Investigation Team (SIT) constituted to look into the murder of police official Subodh Kumar Singh and the riots in Bulandshahr, in UP, after alleged cow slaughter on Saturday submitted a chargesheet against 38 people accused in the Chief Judicial Magistrate’s court. “Five people have been charged with murder of Siyana SHO Subodh Kumar Singh. The other 33 have been charged with rioting, arson and offences of similar nature,” Bulandshahr SP Atul Kumar Srivastava said. The next hearing in the case is slated for Tuesday, he said. According to police, key accused Yogesh Raj has been charged with abetment to riot and instigating the crowd to commit arson. The riots had occurred in Bulandshahr’s Chingrawati after protests broke out following suspected cow slaughter in Mahaw village in the district. A protesting mob had burnt down the police booth of Chingrawati. “Accused Prashant Natt, Lokendra, Rahul, David and Johnny have been charged with murder of the police officer. It was seen in CCTV footage and multiple social media videos that they had formed a circle to trap the officer and later was shot by Prashant by the licensed revolver. They have also admitted to the crime during interrogation,” SP Srivastava said. Bulandshahr police is still looking for other unnamed accused whose roles were highlighted during the investigation. The police claimed that various accused have surrendered in the court in the last few weeks, including Rajkumar, a former pradhan of Mahaw village.